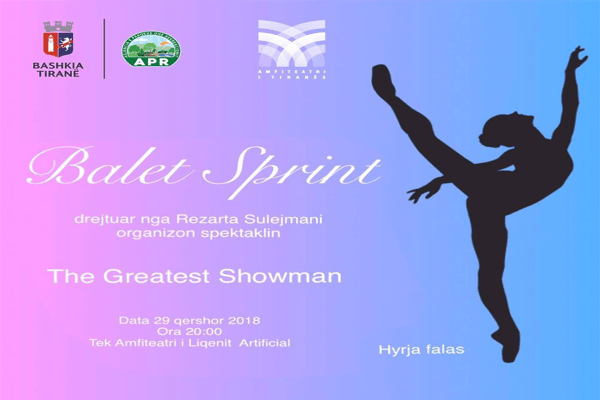 Studio "Ballet Sprint" with the support of the Agency for Parks and Recreation - The Municipality of Tirana brings ballet performances by children. Inspired by the movie "The Greatest Showman", this activity aims to encourage children to pursue and realize their dreams. Friday, July 3rd, at 8 pm at the Tirana Amphitheater. Free entry!